Holidays with Jane: Spring Fever is HERE. It’s out in the world! A new, shiny book of awesome. Winter’s almost over and Jane Austen’s got a case of spring fever! The authors who brought you Holidays With Jane: Christmas Cheer return to bring you six modern retellings of Austen’s classics. So put up your parasols and prepare for sunshine, smiles, and, of course, happily ever afters. When reformed party girl Lydia Bennet receives an invitation to her ex George Wickham’s destination wedding, she accepts with the intention of showing him exactly what he gave up when he dumped her. But no amount determination can change Wickham’s view of Lydia, especially not when circumstances conspire to make her look even more like a party girl than ever. And then there’s her sudden attraction to old college friend Kyle “Denny” Dennison…. Now that Lydia has reimagined her whole life, will she be able to forget the past and open her heart to the future? DON’T YOU WANT TO READ ALL OF THESE STORIES? Of course you do! And you can! 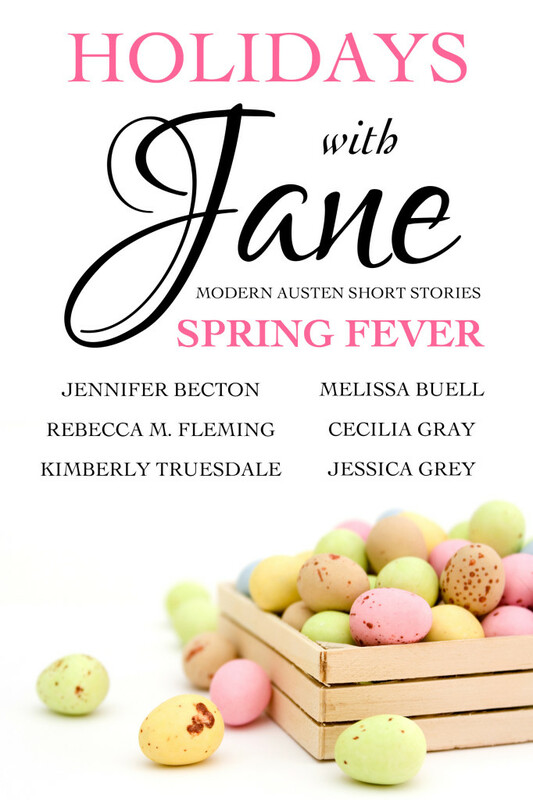 Holidays with Jane: Spring Fever is now available for Kindle and will shortly (like next week-ish) be in paperback. And now for a giveaway! Enter using the rafflecopter below to win one of two prize packs.